Warner Bros new Man of Steel trailer is enough to make you forget Zack Snyder's Sucker Punch...almost. If you're here for the A-Z Challenge, skip to the end of the post. The new trailer for Man of Steel (2013), the new Superman reboot, is amazing and gives us our first real look at the film. There are spectacular scenes like it's views of Krypton, a flaming oil rig and the climactic battle with the evil Kryptonian Zod. It also has some touching moments like Clark with his father Jor-El and Pa Kent and the moment where Lois names Superman. I see hope that this could be greatest Superman movie ever made. Of course, Zack Snyder did make Sucker Punch which was one of the most pointless movies I've ever seen. We may just be willing to let that go. Head here for the last 'Man of Steel' Trailer Breakdown and Screencaps and check back for all our Man of Steel coverage. What are your thoughts on the trailer? Are you looking forward to Man of Steel? Will you forget Sucker Punch? Run by Ann Wilkes, Lyda Morehouse, Clare Deming, Deirdre M. Murphy, Emily Bettencourt and Carl Cheney are writers, authors and fellow science fiction lovers. They interview a bunch of great authors, have flash fiction contests and generally bring the geek. Check them out at their blog, on Facebook and follow them on Twitter @AnnWilkes. Good to know though Sucker Punch was pointless as well. My wife absolutely hated it and still talks about how much she hates it. I saw that last night on Facebook. It does look pretty good. And I noted that the Kryptonians aren't always wearing metal armor stuff around, so that was good to know. I can't help liking Sucker Punch. Sure the plot makes no sense, but it's such a great guy movie with all the explosions and violence and scantily-clad hot chicks running around. As for Man of Steel, this looks pretty great. If this is the basis for where DC goes with their films forward, we may be in for something great. I didn't see Sucker Punch and I guess I'll keep it that way. 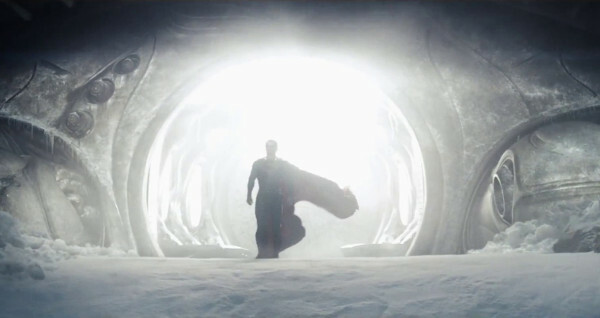 Of the Man of Steel trailers we've seen thus far, this one certainly gives us more meat! I am so excited for this movie. I've always been a Superman lover. I love that you are recognizing geeky blogs. :) Man of Steel is enough to make me forget all about the misogynistic mess that is sucker Punch. and that movie had me steamed as you can imagine. I enjoyed Sucker Punch. But I have high expectations for Man of Steel. Could be truly great. I enjoyed Sucker Punch too. But it seems we are once again in the minority. Personally, I've loved everything from Zack Synder since Dawn of the Dead, so I had nothing but high hopes when I found out he would be helming the next superman movie. I've always loved Superman. Can't wait to see this one too. Jessica, I like how they're not afraid to show off new footage. That's a good sign. I've only seen two of Snyder's movies, so maybe I missed something Michael. Is there a movie you'd recommend? Yeah, I know you had a question about the Kryptonian armor armor Pat. It must just be a seasonal outfit. There are some things to like in the movie, but it ended with no real sense of purpose. I won't spoil it, but it felt empty.